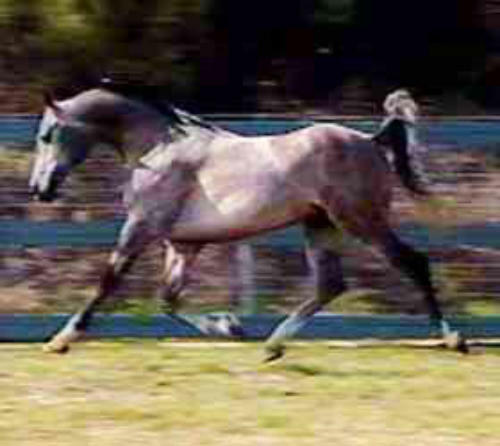 Imported Straight Russian Arabian Stallion *Amsterdam, imported by Gil Van Camp when he was unable to purchase the sire, Tallin, exhibits the finest qualities of the Russian, Egyptian, French, and Crabbet bloodlines. 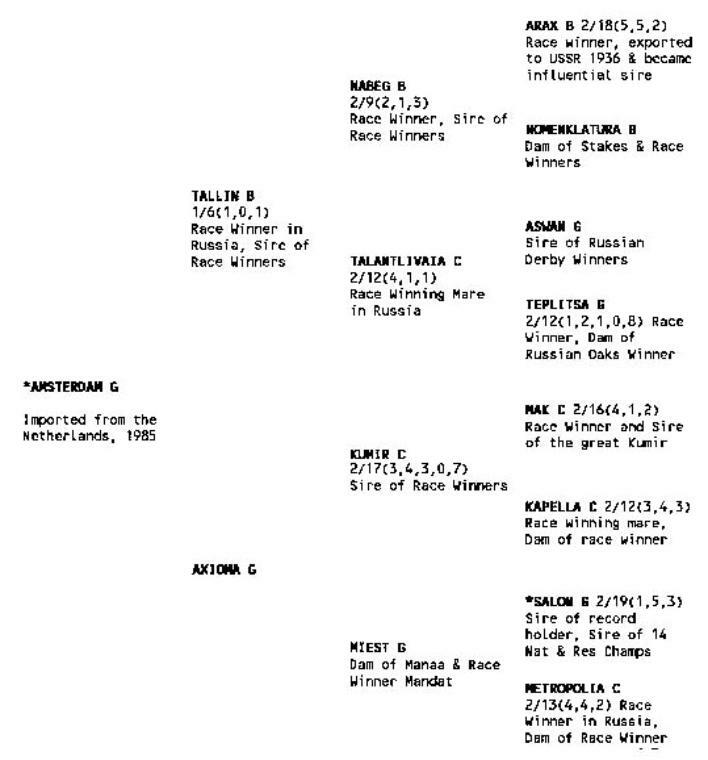 His offspring have won in both performance horse show classes as well as on the race track. See his offspring’s exquisite movement: WOA Classie Dame, Rieza RB, grandoffspring WOA Halyva Dame and WOA Romanesque. The proof of a stallion is in his get. This elegant mover carries some of the finest bloodlines of Russian. Gil Van Camp (of Van Camp’s Pork and Beans and Chicken of the Sea fame) went to Russia to pick out the best bloodlines. Unable to purchase Tallin, who brought length and power of hip to his offspring, Gil had to settle for his amazing yearling son, *Amsterdam. He produced some of our best mares before he was sold as a show horse. The young rider showed him to championships in Western Pleasure. Before he left us, I have to say he was my children’s favorite trail horse. Yes, he was that gentle.